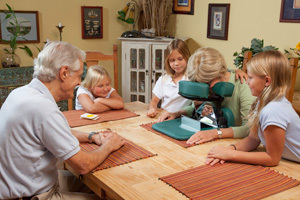 Comfort Solutions delivers face down recovery equipment throughout the United States to serve vitrecomy and Macular hole repair patients from coast to coast. We ship equipment days in advance of surgery to give each patient free time to become familiar with it. 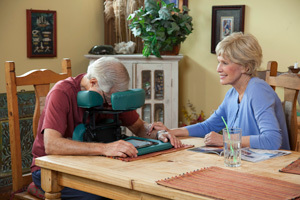 The rental period for your face down recovery chair set begins the day of surgery. This website contains medical information about vitrectomy surgery, macular hole repair, retinal detachment surgery and diabetic retinopathy. We offer free online videos demonstrating the setup and use of our quality products. At Comfort Solutions, we offer toll-free phone and e-mail support seven days a week to answer any questions you have before and after eye surgery. 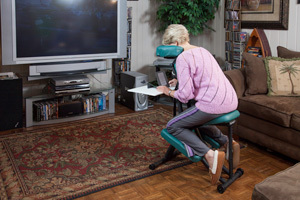 Comfort Solutions provides all necessary documentation needed to help with insurance reimbursement for renting our face down recovery chair set. Our offices are staffed with knowledgeable customer service professionals seven days a week who work with both patients and physician offices in insurance matters and have experience with many insurance company reimbursement policies including Medicare, Aetna, Blue Cross/Blue Shield, United Health Care, Cigna, AARP Medicare Complete and most other major insurance carriers. All vitrectomy equipment rental services are charged to the patient and are due at the time of services unless other arrangements have been made. The patient is responsible for filing all claim documentation with his or her insurance provider. Please note that Medicare & Medicaid DO NOT cover the cost of face down recovery equipment rental. UPS Ground shipping and return are included. Same day service available to many U.S. cities for an additional charge. Alaska and Hawaii service available for an additional charge. Contact us for details. UPS Ground shipping and return are included. Same day delivery available in some cities. We ship to Alaska & Hawaii for an additional fee. Tom Russo explains what to expect after Vitrectomy surgery, the importance of the face down recovery process, and the quality, sturdiness and comfort of Comfort Solutions equipment. This movie describes proper set up and adjustment of the chair system, proper use of the tray table, height and angle adjustments, pad attachments, seat height adjustment, and sternum pad use. 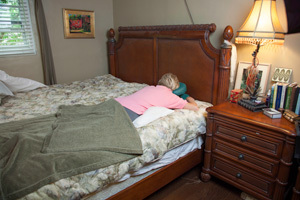 The included face support unit can be used in three different configurations, including on top of your bed, at the foot of a bed, or as a stand alone table top or desktop unit. This video shows you how to use and adjust the face support unit in each of those situations. Describes use and adjustment of the Comfort View mirror system. If you have any questions, call us toll-free at (800) 294-5051 or email info@facedownsolutions.com. 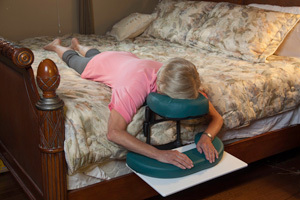 Vitrectomy Solutions for Facedown Recovery Shipped Nationwide!